You can count on the beauty quotient of India while taking a tour; be it architect, natural troves or amazing culture stashed in the country. Take a tour to India! Travel Shop is located in Gorakhpur, Uttar Pradesh and provides Domestic Tours all year round. The Hindus form the major ethnic group in the country while living in harmony with other communities such as Christians and Muslims. 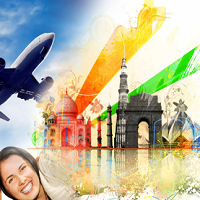 Travel Shop organizes Domestic Tours all over India. During the tours you can savor the scenic beauty of nature and guzzle the delectable local cuisines. You can also spend joyous time indulging in activities like boating, horse riding, hiking, skiing, etc.